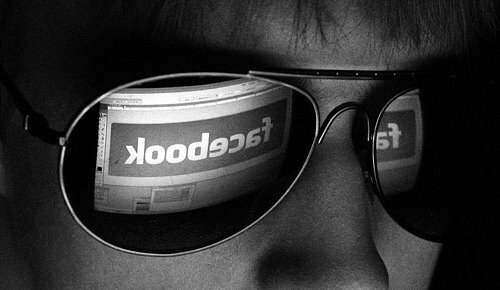 Home » World » 5 Types Data That Can Invites " Hacker " and " Stalker " on Facebook , Beware! 5 Types Data That Can Invites " Hacker " and " Stalker " on Facebook , Beware! Everybody knows that Facebook is a very popular social media. Everybody use it for selling their product, find new friends, airing an opinion over certain phenomenon, or playing games. You can pour a comment on your friend’s wall and shortly speaking, it is really fun for many of us. According to statistics, there are 1.5 billion Facebook users around the world. Looking inside Facebook there are surely plenty features created to bring us some enjoyment. People use them to waste the time and so they found it very fun to play games, pour some comments, or anything, through Facebook. However, there are also risks in spending the whole time with Facebook, and one of biggest problems is related to security. Our behavior in Facebook, things we often do, like post some news, updating profile, post some video, or even status, as well as commenting on friend’s wall, appear to be some activities that would actually invite stalker and hacker. Result is dangerous: they could hack personal data you have stored to Facebook and thus make your life disrupted. Paying attention to this fact, it becomes reasonable for you to be careful every time you use Facebook. First tip: don’t show certain information and data the public can access them easily. The following points will teach you on how to avoid bad thing happened when using Facebook to interact. Financial data like credit card number is sensitive and it will invite stalker and hacker once you reveal them in your Facebook profile or in your friend’s commentary box. It is not only credit card number, but also some other information like account number or even your account balance. The worst thing that could happen is: you lost the money because you are happily reveal those data through Facebook. You are searching for boyfriend/girlfriend and you often add someone to be your friend in Facebook. You added some people because you think they are handsome/pretty. After your invitation approved, you stalk on her/him and then you check on relationship status. You want to know whether s/he is single or not. There are many stalkers who want to bother your personal life and they tend to search for initial information from someone’s Facebook page. So it would be better for you not to reveal any information regarding relationship status (especially if you are single). Furthermore, disregard a stalker is the best way to avoid something bad happen in the future. Show your employment status through Facebook will be fun and it makes you more confident and you can have the pride of it. However, you might want to consider showing your employment status and the impact. Some hacker would be able to interrupt office system where you are working in. This become something you want to avoid, isn’t it? Facebook will actually ask your personal address and you have to think twice before you give it to them. If it feels unsafe, then don’t ever reveal your address. But if it turns out that you have to reveal it, you need to change your privacy setting. In other words, set the address so that it is only you who can see the address. An unprotected address is a delicious dish, especially for stalkers and hackers. And that could put your life in dangerous. Therefore, don’t reveal anything related to your address, especially when you are engaging with Facebook. Facebook will ask phone number of its user for security reason. You can give it to them but you can protect them (so the others can’t see them) by setting up the privacy setting. Phone number is sensitive data and it is expensive for hackers and stalkers. You have to do many things when engaging with Facebook, especially when it comes to security. Somebody can screw your life by only searching, for example, your phone number through the internet. So basically you don’t have to reveal anything related to your life, including your address, phone number, and credit card. In the era where information had been produced so much wave of data, it is important for you to keep the privacy in its place; in the other words, don’t let the others to access them easily. Description: 5 Types Data That Can Invites " Hacker " and " Stalker " on Facebook , Beware! Rating: 5.0 Reviewer: Admin ItemReviewed: 5 Types Data That Can Invites " Hacker " and " Stalker " on Facebook , Beware! Sign up with your email to get updates about "5 Types Data That Can Invites " Hacker " and " Stalker " on Facebook , Beware! ", and other awesome articles. 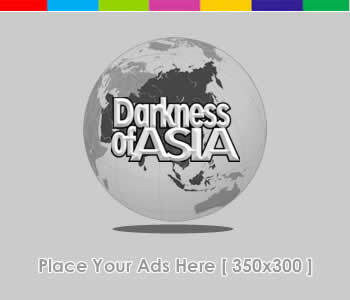 You can read another awesome articles with the same topic about World in Darkness of Asia.